Back in the UK for a short visit, just in time for Hallowe'en. 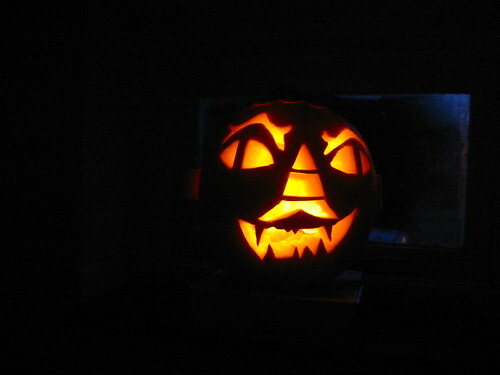 This evil looking chap enticed 23 small children to my door this evening. Just as well I was stuffed already on bread. That is a truly scary pumpkin! You got lots of visitors - we didn't get too many this year.